What is the cost of living in New York City? How expensive is it? Here’s the thing. Yes, New York City can be expensive and it doesn’t have to be. I lived in New York City for three months in 2014 and moved back in May 2016 and ended up staying until the end of November 2017. Prior to moving to New York City, I lived in London, Vienna, and Berlin. I simply want to give you a brief breakdown of my expenses and where the majority of my money ended up going. Before I get into it I would like to clarify that I set myself a budget of $1,300 (which later changed to $1,400 due to an increase in income). Like for so many people, my biggest expense in New York City was rent. 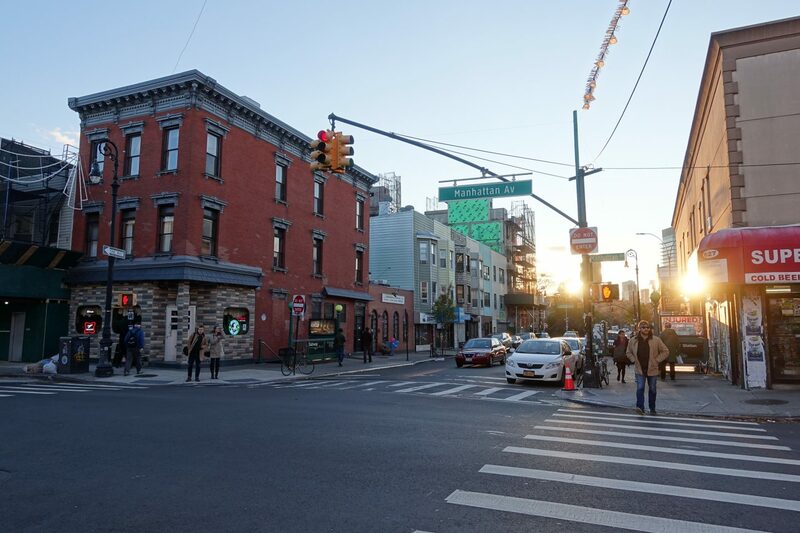 Rent can drastically increase or decrease the cost of living in New York City. 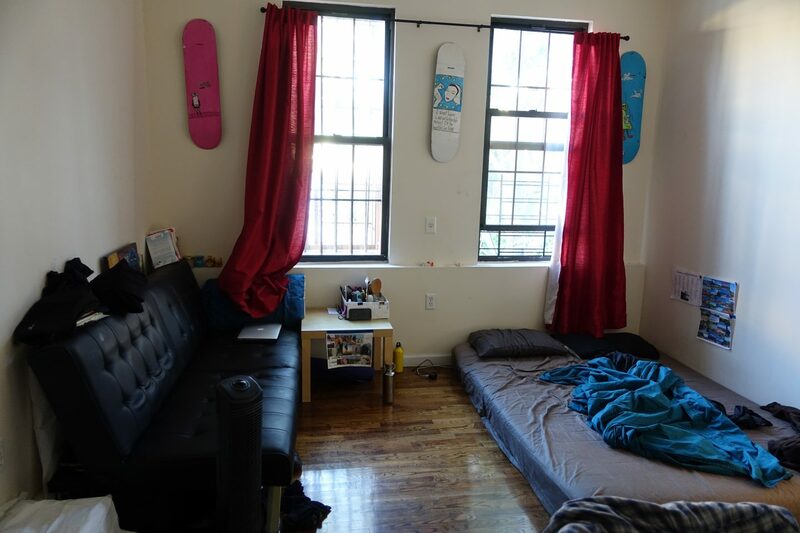 I shared a two-bedroom apartment in Brooklyn (Bushwick) with my flatmate and my man. The rent for each room was $900 and with utilities, it was around $1,000. This meant that my man and I paid roughly $500 each per month for rent and utilities (wifi, gas, electricity). It was an absolutely incredible deal for the apartment and its location. I used public transportation every single day and always bought the monthly ticket. The monthly ticket in 2016 was roughly $120. Getting around with public transportation is super easy in New York City. While I wasn’t a huge fan of taking New York City’s buses in the beginning, I learned to love them. I greatly enjoyed taking the subway and had three different subway stations within 10 minutes walking distance. I am a vegan, I love food and could eat all day, every day. I enjoy making my own meals and love shopping for food. My grocery expenses were $200 per month on average and that included all of my meals: breakfast, lunch, dinner. Buying healthy groceries in New York City can definitely get expensive if you don’t know your way around. I got my staples at Wholefoods and Trader Joe’s and went to a local supermarket for most of my produce. My staples included but were not limited to: rice, oats, farro, beans, tofu, kale, apples, and bananas. Your expenses will largely depend on how and what you eat. While I love rice and beans it’s not that I would want to eat that every day. I do like a bit of variety and enjoy trying new recipes. Whatever your budget, you can definitely make it work for you. I went to a laundromat to do both my man’s and my laundry. My laundry routine was super simple and one load per week was, therefore, more than enough for the two of us. I’ve also made a whole video about how you can reduce the amount of laundry. Each load was $2.25 (which later on increased to $2.50) which resulted in an expense of $10 per month to wash both my man’s as well as my clothing. Please bear in mind, I am not fond of using the dryer. There are various reasons for that and throughout my whole stay in New York City I air-dried my clothing. I got a used drying rack off craigslist for $10 that took up very little space and was perfect for the two of us. New York City is a very WIFI friendly city. Lots of subway stops as well as shops have free wifi and whenever I needed it, it was right there. For this reason, I choose a plan with just texts and minutes and paid roughly $10 per month. My plan didn’t come with a contract and I simply paid on a month to month basis. The best provider for my needs was USmobile, I really loved their customer service and their website was super easy to use. If you aren’t someone who needs 1,000 texts and 1,000 minutes or a new phone every 6 months then providers like USmobile may be better suited for your needs and usage. That was it for my fixed expenses. $890 in total is what I was spending every month on the bare essentials, regardless of what I was doing. Depending on where you are living this may seem like a lot or nothing at all. With expenses, like with all things, it’s all about perspective. If you have never lived in a big expensive city than you may perceive this as outrageous and I would be with you on that. However, it’s always best to do your research before judging someone else’s living expenses all too harshly. Cost of living can vary greatly depending on your exact location (even within a city) and so do levels of income. Bear in mind that rooms alone start at $1,000 per month and depending on the location you may end up paying as much as $2,000. For just a room. The remaining $410 were then either saved or spent on trips, healthcare, adventures and the like. I think you get the idea. Some months I ended up spending a little over $1,000 and other months I ended up spending $1,500. However, throughout my 1.5-year stay in New York City, I was always well within my budget and was also able to set money aside for trips and the like. If you live frugally, focus on what’s important and spend your money and time accordingly you can totally make living in New York City work for you. If you happen to need inspiration, I can only highly recommend you to check out my videos on frugal habits and frugal tips. Previous Post 10 Frugal habits that rock!